Afraid To Do Something With Kids? Try This. Afraid of public speaking? Join Toastmasters or take improv. Afraid of networking? Take a friend to an event and practice. Afraid of asking your boss for a raise? Research, role play and present your case. But for some reason, there aren’t many solutions to overcome fear as parents. Afraid kids will cause trouble at the store? Shop at night or online. 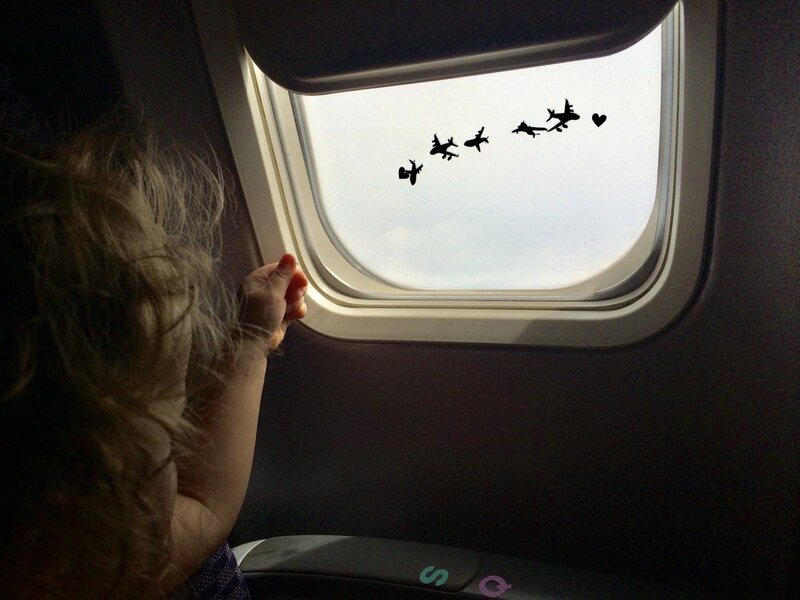 Afraid kids will cry on a long plane ride? Road trip or put off travel for a while. Afraid kids won’t sleep on vacay? Just don’t go. Yet, the more we avoid what we fear most, the more our fear grows. Experts say the best way to overcome fear is to acknowledge it. Put a plan together and practice. Get better at it. Define the fear. What is the worst that can happen? Write down all the terrifying scenarios. Back to our travel with a two-year-old scenario: You could run out of snacks or activities. Your kid could skip nap time or have an accident and be without a change of clothes. You could be kicked off the plane and see yourself on the news when your kid screams, non-stop, for eight hours. Plan what you’ll do to prevent each scenario from happening: You’ll pack favorite snacks, tiny toys, an extra outfit. You’ll train your sweetie to snooze in different spots so he’s ready to nap on the way (stay tuned for our Sleeping Secrets). You’ll brush up on ways to entertain him and make the flight attendants your new BFFs so they’re ready and willing to assist you in case of an emergency. Ponder how to fix the problem or how to ask for help: You can ask the flight attendant for more snacks or the biggest bag of gummy bears she has. You can ask her for cups, napkins and stir sticks as additional toys. You can spend some scream time in the bathroom to not disturb fellow passengers or be glad to get off the plane when you’re kicked off so your kid can finally run free. When we go through this exercise, we might find there isn’t as much to worry about after all. When we face what we’re afraid of, our confidence grows and we become fearless. And when we are fearless, we can do more with our kids than we ever thought was possible before.